 Verisys is a technology company, focusing on designing and developing complex web and mobile applications. We help companies and brands figure out the best mobile strategy to meet their business objectives. And then we build the right apps for them. The mobile app is becoming as important in establishing a business’ credibility as the website was a few years ago. We help small businesses and start-ups to understand all the opportunities available in the mobile space and create the applications useful for their target users. More than 40% of web traffic is coming from mobile devices. We can help you created the perfect website that matches your brand and is mobile optimised. We create complex web applications, custom Content Delivery Systems, including high-load enterprise web applications. If you have an idea for a startup, be sure that we know how to bring it to life. You may have the best website and mobile application, but without some promotion, your brand is lost among thousands of other applications. With Digital Marketing you will establish your online presence and acquire the audience you need for your products or services. Mobile technology has fuelled revenue growth in the gambling industry, proving the future of betting is mobile. Our game development service includes customised mobile game development for iOS and Android mobile platforms. Your corporate identity is your most precious asset and the one that will be seen firt by your audience. Our designers will help you shape the most inspirational identity, which fits your character, your vision and your values.